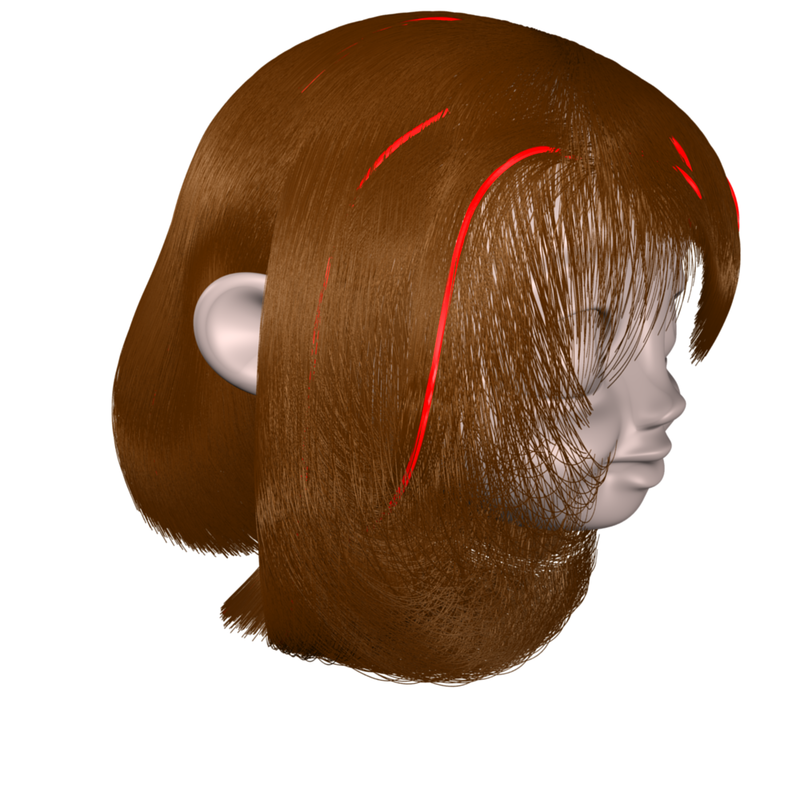 In computer graphics, modeling the geometry of hair and hair-like patterns such as grass and fur remains a significant challenge. Hair strands can exist in an extensive variety of arrangements and the choice of an appropriate representation for tasks such as hair synthesis, fitting, editing, or reconstruction from samples, is non-trivial. 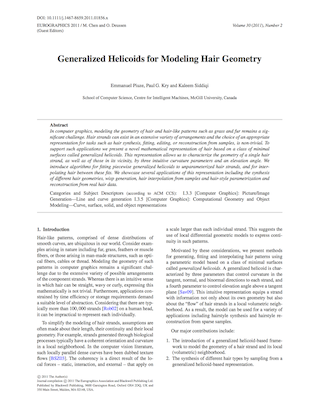 To support such applications we present a novel mathematical representation of hair based on a class of minimal surfaces called generalized helicoids. This representation allows us to characterize the geometry of a single hair strand, as well as of those in its vicinity, by three intuitive curvature parameters and an elevation angle. 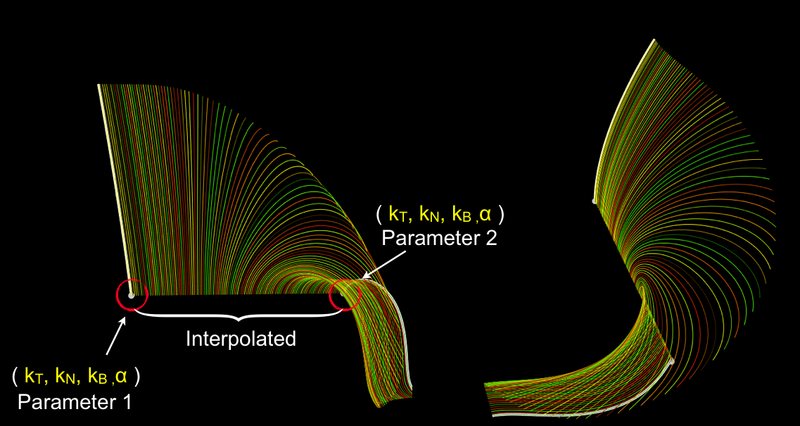 We introduce algorithms for fitting piecewise generalized helicoids to unparameterized hair strands, and for interpolating hair between these fits. 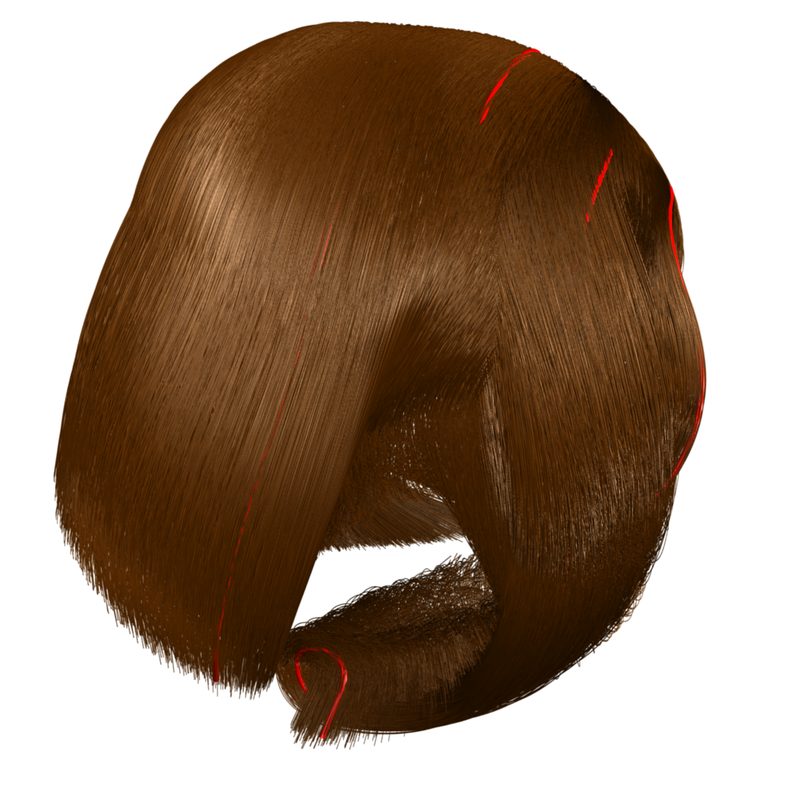 We showcase several applications of this representation including the synthesis of different hair geometries, wisp generation, hair interpolation from samples and hair-style parametrization and reconstruction from real hair data.